Over the last year and a half, Fridays have become pizza night in our house. My husband loves pizza and I like not having to plan what we're having at least one night a week. We started with ordering in, but my trusty bread machine soon took care of that. 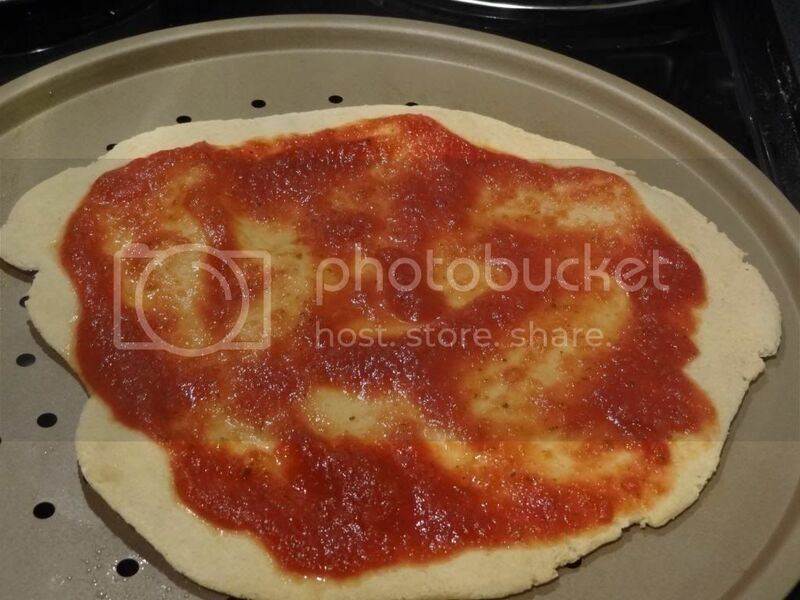 (For my honey whole wheat pizza dough, click here. For my cornmeal parmesan dough, click here.) Each dough recipe makes enough for two pizza nights (or 2 large or 4 small to medium pies) so I only have to make dough every over week and put half in the freezer. Typically, I keep shredded cheese and jarred sauce on hand--and that's all my plain cheese pizza-loving husband needs. (My pizza tends to vary more depending upon whatever fresh veggies are in the fridge.) Easy as pie. However, last month when we were eating down the pantry, I finally ran out of jarred sauce. Yikes! Luckily, I still had tons of canned tomatoes from my crazy summer of stocking up. Inspired by this recipe, I whipped up about 5-6 cups of tasty sauce with little to no work at all. I then froze the sauce in 1 cup portions right next to the extra dough. Super convenient! I like that this sauce is simple, yet intensely flavorful because it simmers all day. 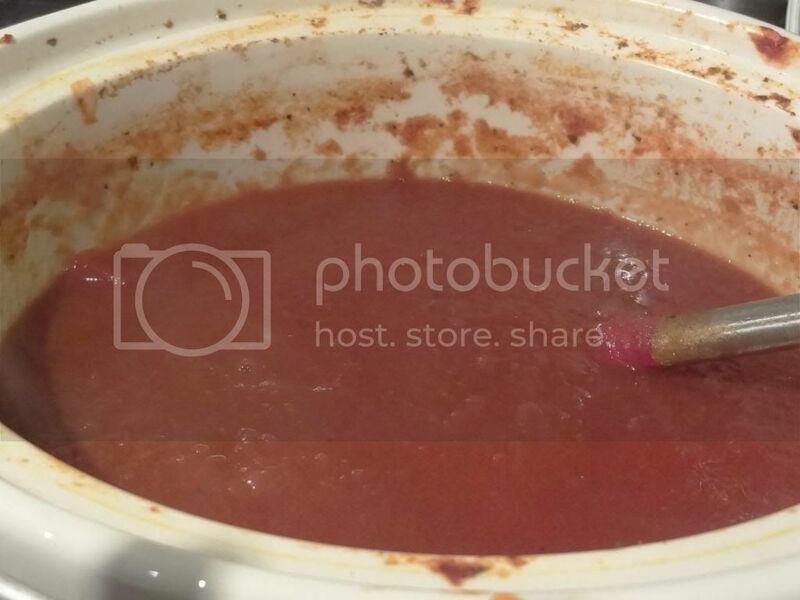 It's a tangy, tomatoey sauce that's not too sweet like many jarred sauces. (If you prefer a sweeter sauce, which I do sometimes, just add a little more brown sugar. If you like it a little spicy, add a pinch or two of crushed red pepper flakes.) We've enjoyed it on pizza, in lasagna, and over pasta. Saute onions in a little olive oil until softened. Add garlic in last minute. Add with remaining ingredients to slow cooker. Cook on low for 8 hours. Remove bay leaves and adjust seasonings to taste. If using on pizza, I recommend using an immersion blender to smooth out the sauce.